After large collections of passwords have appeared on the internet in recent days, Google is taking steps to secure it’s users. Google is offering an extension that displays a warning, it a user attempt to login on a site using leaked passwords. 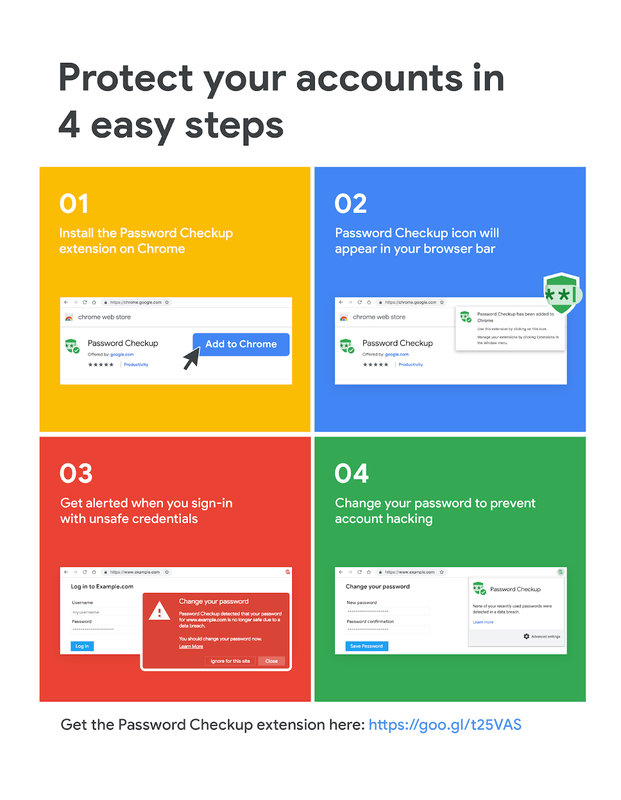 On the Google Security Blog, Google posted the article Protect your accounts from data breaches with Password Checkup with a solution. Google helps users protect themselves from hacking online accounts. The new extension Password Checkup Chrome is provided for this purpose. When a user logs in to a website, Password Control triggers a warning if the username and password used is contained in one of over 4 billion credentials, and Google knows that the credentials are insecure. The Password Checkup extension was developed in collaboration with cryptography experts at Stanford University. This is designed to ensure that Google never knows the username or password and that all data, even in the event of security breaches, is protected from wider disstribution. The technical details of the implementation are described here. The extension is also described here and can be selected here for installation. This entry was posted in browser, Security and tagged Chrome, Security. Bookmark the permalink.